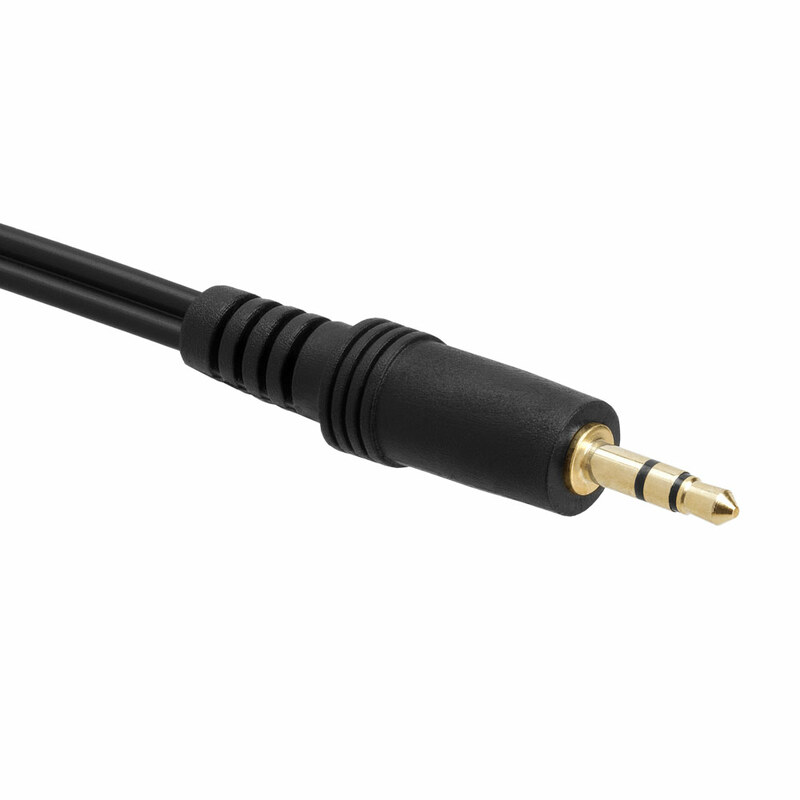 It has a male 3.5mm (1/8”) stereo mini plug on one end (the one you use to plugs into headphones, a walkman, portable CD/DVD player, MP3 player, computer, iPod etc.) 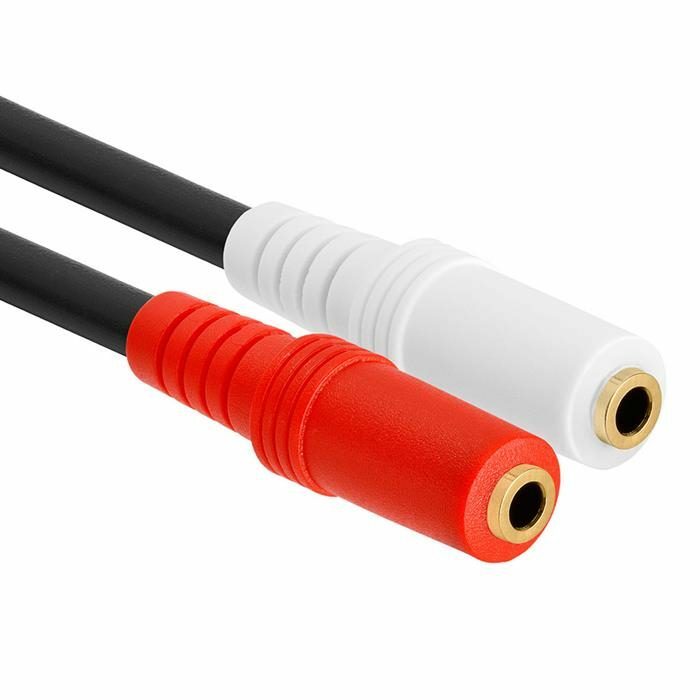 , and two color coded Stereo female 3.5mm jacks on the both ends. You can plug two sets of stereo headphones into each jack. 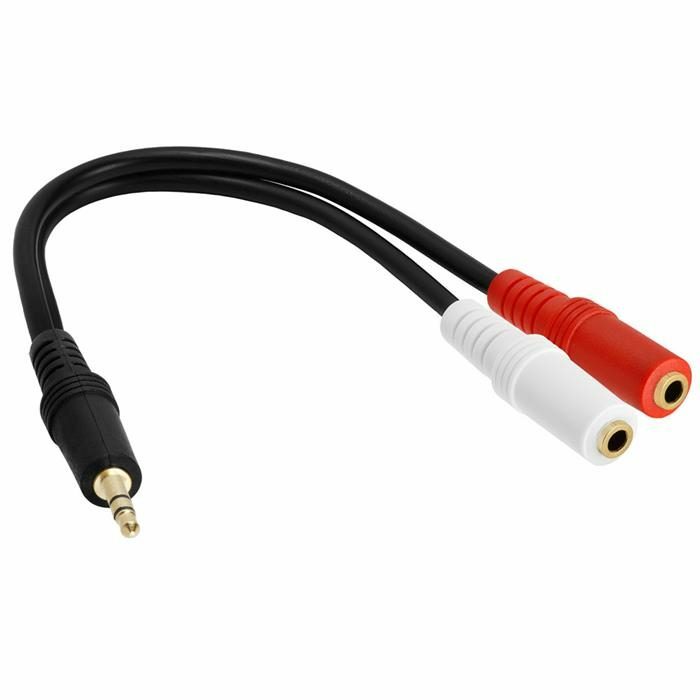 Both red and white jacks does NOT split the stereo signal into separate left and right mono channels, both jacks output has the same stereo signal.